Setting up to soundcheck before #27 "Gestalt"
Duuuuude look at all them screenz!! That's Audio Mulch on the big screen. Correct Absynth in the foreground and I also used FM8 on the lower laptop screen below. 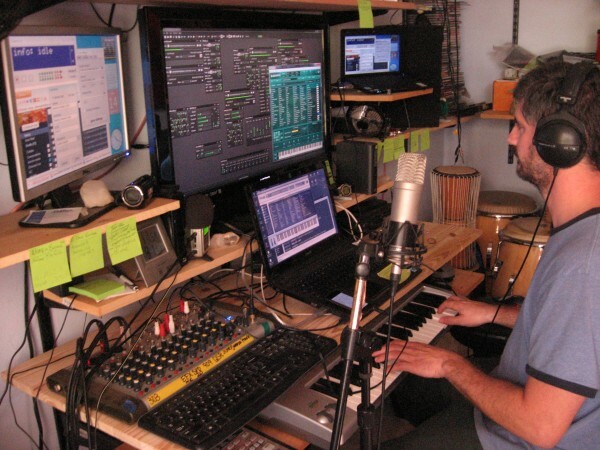 Audio Mulch is a fun app allowing you to build modular environments the way you like. You can download the full demo version to use for free for a limited couple months. 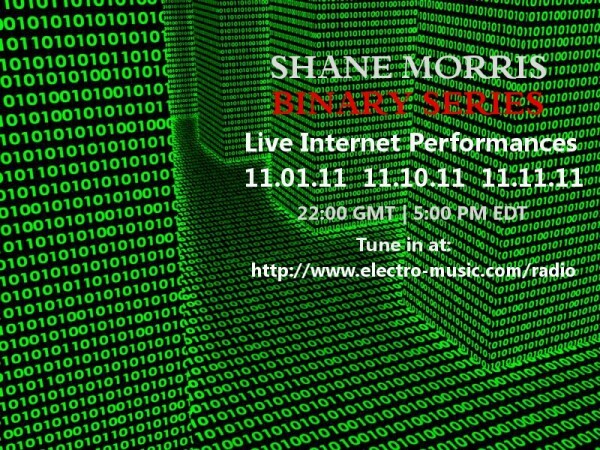 Atmosphera ~ Episode #28 "Binary 11.01.11"
The month of November will bring the final three installments of my Binary Series of live performances on some of the binary dates in 2011. I will again have a bit more electronica mixed with ambient and experimental sounds for this hour of music. Expect to hear a mix of electronic and glitchy beats intertwined with digital soundscapes all made and processed with software only this time. Ahh, looks like I will be able to catch this one! Atmosphera ~ Episode #31 "Scorched Earth"
For the last Atmosphera of 2011, I will be doing some generative sampling that will probably delve into the more side of things. Thanks to all for listening to and supporting Atmosphera for yet another year. Im looking forward to returning in 2012 after a short break for the holidays. been meaning to ask.. on what machine are you running komplete these days? netbook? laptop? pc? Ill be using Komplete on the netbook in the future though... hopefully anyway hehe. yeah asus does the dual core netbooks.. would be nice. Thanks a lot Dan and thanks for tuning in! I had fun playing. Atmosphera ~ Episode #32 "Friday the 13th"
Seems oddly appropriate the way 2012 has started so far that the first Atmosphera would start on Friday the 13th. So this set will be a cold and bleek exploration into the darker and noiser side of things. Great!! I will be there. Atmosphera ~ Episode #33 "Riding the Transition"
As life has gotten busier for me, I am finding it harder to maintain a regular performance schedule for my Atmosphera series on electro-music.com. Thus I have decided that after almost 3 years of the Atmosphera performances, I will be ending the series in April with one final performance on Friday the 13th 2012. The good news is I will now have the time to cull through over 40+ hours of live music for releasing in a few large volumes. 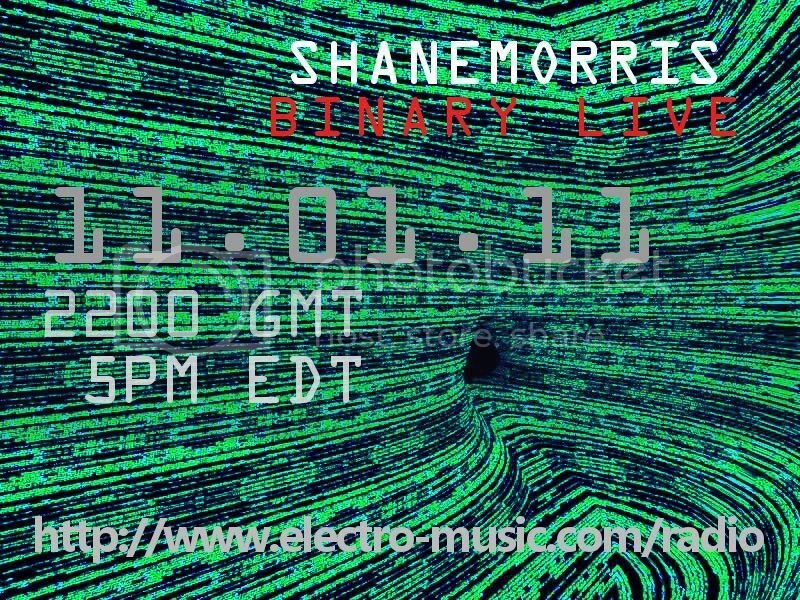 I will also still be playing periodic live sets on electro-music and stillstream, just no longer going to carry a regular schedule. Thanks so much to everyone that has supported Atmosphera over the years. thanks Shane for all the nice music you played for us, still looking forward to occasionally hear you of course! Btw... My wife and I are having a baby girl in a few months. So, regularly scheduled stuff will be a bit harder. I will definitely do some raiding of the airwaves from time to time and during the festivals.